Erected around 1898 by the Schutztruppe, the fort secured the South Bay Road between Keetmanshoop and Lüderitz, a military station building and provided bypassers with water. 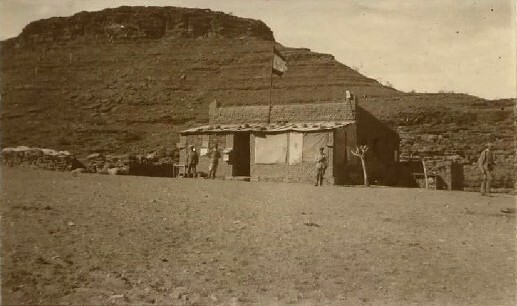 An officer of the Schutztruppe and approximately 15 troops were stationed here. Especially during the Nama wars in 1905-1906, their task was to protect the nearby waterholes during the Nama wars in 1905-1906 . Built from flat stones piled on each other the outer walls measure 10 x 5m, facing the north-east oveerlooking a part of the South Bay Road, the former military station and the cattle kraals and stables. The fort has 2 rooms, a passage and loopholes on 3 sides. The other ruins are the remnants of the military station building, a four roomed structure comprising a living roomfor the troops, a visitors room, a storeroom, a kitchen and a veranda. The remains of the cattle kraals are also still visible towards the Schenpfen River. 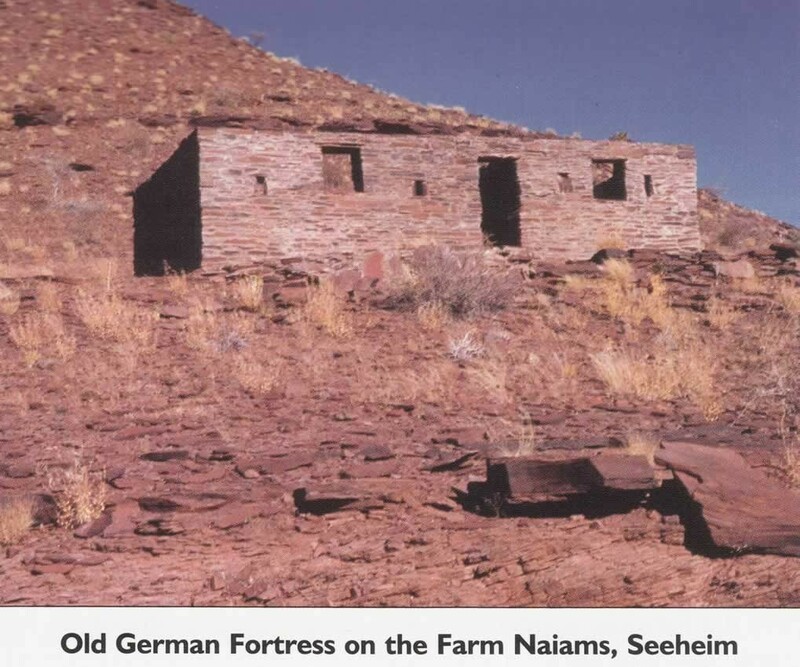 The fort is located on private land and permission from the farmer is required to visit it. Vogt, A. 2004. 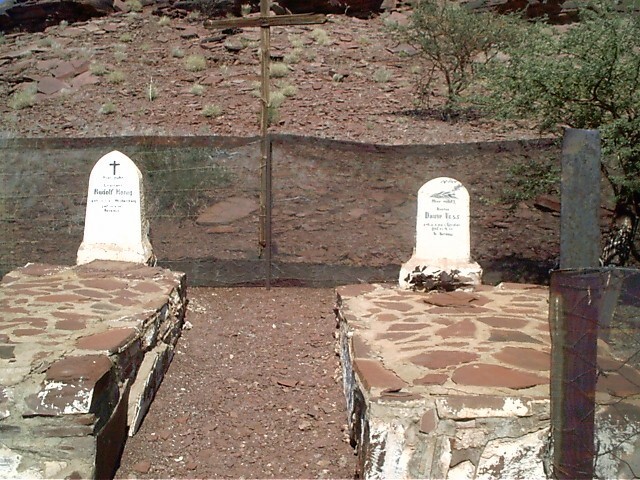 National Monuments in Namibia. 2nd ed. Macmillan, Windhoek.